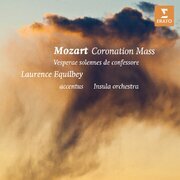 Founded in 2012 by Laurence Equilbey, Insula orchestra performs on period instrument a repertoire ranging from the Classical to the Romantic eras. 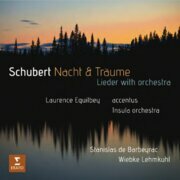 Founded in 2012 by Laurence Equilbey with support from the Département des Hauts-de-Seine, Insula orchestra is in residence in a new artistic venue, La Seine Musicale on Ile Seguin, an island in the River Seine just a few miles downstream from Paris. 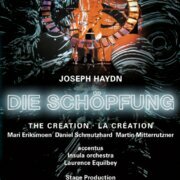 The orchestra is in charge of selecting part of the programme for the 1,150-seater auditorium. 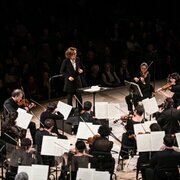 Insula orchestra performs at other major French and international venues and leading festivals. Since its foundation, the orchestra has been invited to play at the Philharmonies of Paris, Hamburg, Essen, Warsaw, Salzburg’s Mozart Week, Opéra Comique in Paris, Barbican Centre in London, Basel Stadtcasino, Louvre Abu Dhabi and Lincoln Center in New York. 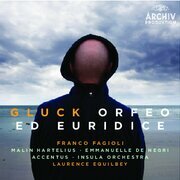 Over the last two seasons, Laurence Equilbey has entrusted Insula orchestra direction to invited conductors: Leonardo García Alarcón in 2017/2018, and Christian Zacharias in November 2018. Insula orchestra’s artistic project is built around a repertoire ranging mainly from the Classical to the Romantic eras. Mozart, Schubert or Weber form naturally the core of this repertoire with symphonic programmes as well as programmes with choir and soloists. The orchestra performs on period instruments. The orchestra has developed a comprehensive, innovative programme of cultural and educational initiatives across its home base in the Hauts-de-Seine department. It also reconsiders the formats and codes of classical music with the aim of drawing in new audiences, creating an ongoing dialogue between symphonic music, the spatial dimension of the venue and the stage. The orchestra associates each programme with a constellation of new digital, artistic and educational forms, featuring clips and Web series that resonate with our times and expand the artistic content of the project. The 2018/2019 season includes two scenic highlights: Weber’s Der Freischütz with a stage production by the Cie of new magic 14:20 (Théâtre de Caen, Grand Théâtre de Provence, Theater an der Wien, Ludwigsburger Schlossfestspiele, Bozar in Brussels) and the original pieces of Mozart’s Requiem by the choreographer Yoann Bourgeois (Les Nuits de Fourvière in Lyon, La Seine Musicale). 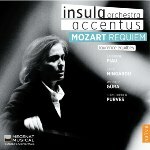 The first recordings of Insula orchestra - Mozart’s Requiem (naïve, 2014), Gluck’s Orfeo ed Euridice (Deutsche Grammophon, 2015), Mozart’s Coronation Mass (Warner Classics – Erato, 2017) and Schubert’s Lieder with orchestra (Warner Classics – Erato, 2017) – were highly successful. 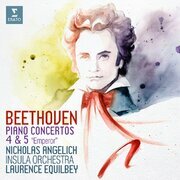 To celebrate Beethoven’s birthday, the orchestra and Laurence Equilbey release two records dedicated to the composer: Piano concertos n° 4 and 5 with Nicholas Angelich then Triple Concerto and Choral Fantasy with Bertrand Chamayou, Alexandra Conunova, Natalie Clein, David Kadouch and accentus. Insula orchestra receives support from the Département des Hauts-de-Seine and is in residence at La Seine Musicale. Four Funding Partners joined the adventure: Fondation d’Entreprise Michelin, Grant Thornton, Meludia and W. accio, the accentus and Insula orchestra circle of friends develops involvement of individuals and companies. 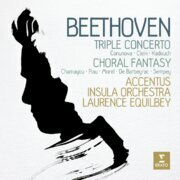 Insula orchestra is part of the FEVIS and the SPPF.